Vubiq Networks, Inc. is a privately held technology company headquartered in Irvine, California. Our focus is on high-bandwidth, millimeter wave wireless innovation, including point-to-point broadband links, wireless data center and cloud connectivity, radio frequency identification, and the world's first integrated transmitter/receiver with antenna. 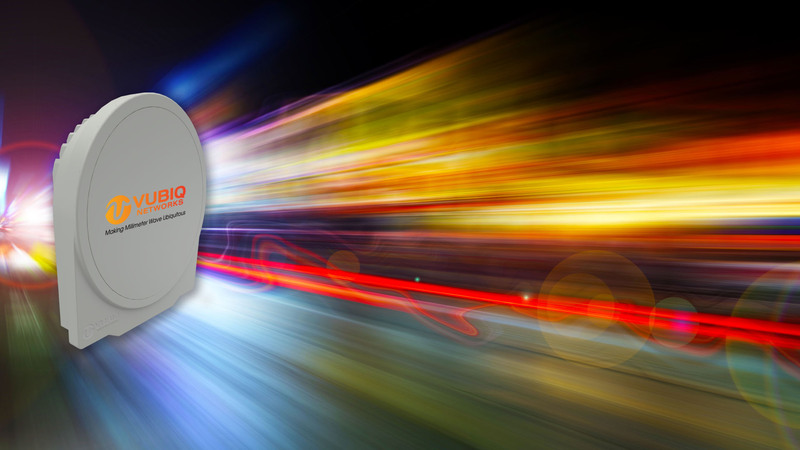 The HaulPass V10g is an advanced V-Band millimeter wave radio link that provides broadband Ethernet connectivity via a fully integrated Ethernet switch, as well as 10 Gbps direct fiber-to-radio connectivity for maximum throughput and minimum latency. 500 MHz to 2 GHz channel bandwidth, advanced intelligence, and comprehensive Ethernet switching functionality. 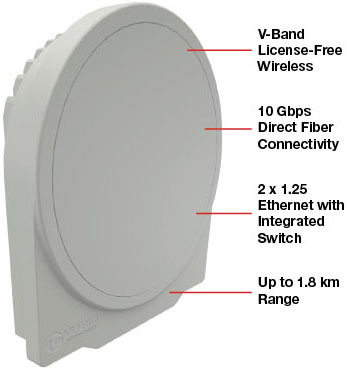 Full duplex, line-of-sight broadband wireless data connectivity at distances up to 1.8 kilometers (over one mile). The V10g's code rate, modulation and baud are instantly set in real time, resulting in hitless adjustment to link conditions. 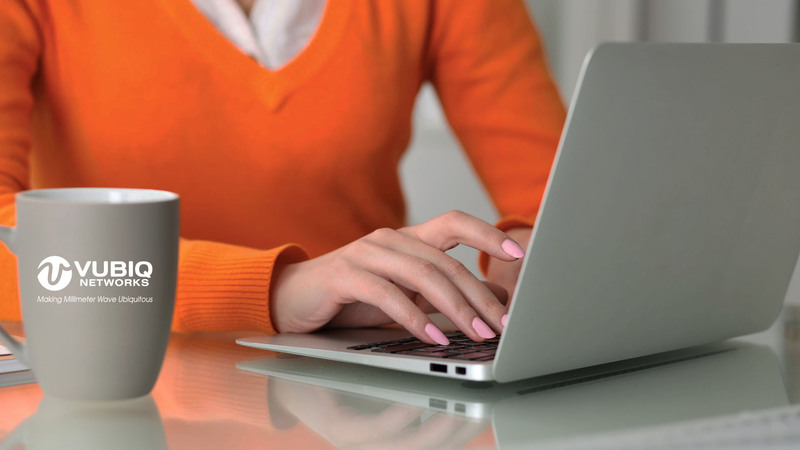 Immediate ROI is achieved thanks to an economic price point, pain-free deployment, and license-free operation. The V10g is ideal for network and fiber operators looking for a cost-effective way to extend broadband networks to new line-of-sight locations. Instead of undertaking costly fiber optic cable installations, enterprises can easily deploy HaulPass V10g wireless connections for metro networks. For wireless carriers, the HaulPass V10g provides a practical and low-cost wireless backhaul solution for 3G and 4G/LTE mobile communications networks. Read our HaulPass case studies, including City of Mission Viejo, Kingston Technology, SkyCom1 and Fiber Internet Center.